Anyone who has ever planned an event knows that every single detail about it needs to be perfect. With ULC limo rental service in Inglewood it is enough make sure that your commute, no matter how long or short, is comfortable and luxurious. Every limo in Inglewood ULC branch is well maintained, inspected for safety, and delivered in immaculate condition. The limo fleet consists of limos all less than 3 years old, which ensures that the cars are free from wear and tear. We also clean and maintain our limos in Inglewood on a daily basis to keep our cars functioning as good as new. One of the biggest reasons behind the success of our limo and party bus service in Inglewood is our prices. We are not like other limo rental in Inglewood. Our prices make our limos and party buses in Inglewood affordable to everyone. 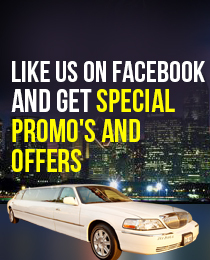 Our affordable prices allow you to take all of your guests in a limousine or party bus on your special event. Which Inglewood Limo is Right For You?